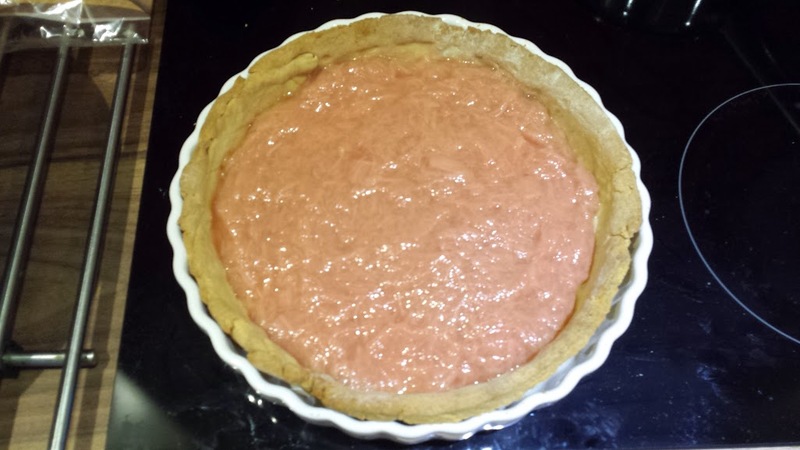 A few weeks ago I made a Banana and cream pie and this week wanted to change the recipe slightly to make a rhubarb and custard pie. 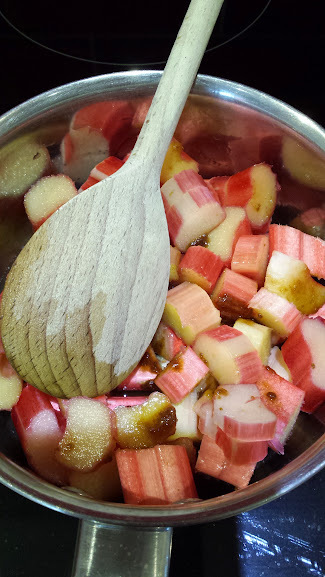 Rhubarb is one of my all time favourite things and anything cooked or baked with Rhubarb is a winner to me. I used the same recipe and method as I did with the banana version but this time used wilted down rhubarb. With the rhubarb a little water and some dark brown sugar I reduced the rhubarb down over a low heat whilst I made the pastry base. 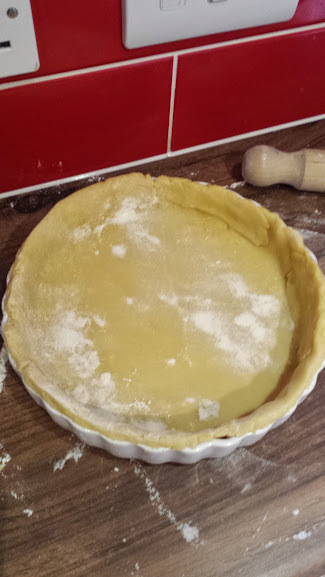 With the pastry made I decided to lay in a little thicker in the dish than I had used on the previous bake as well as cook for 5 minutes less to give a softer pastry case. 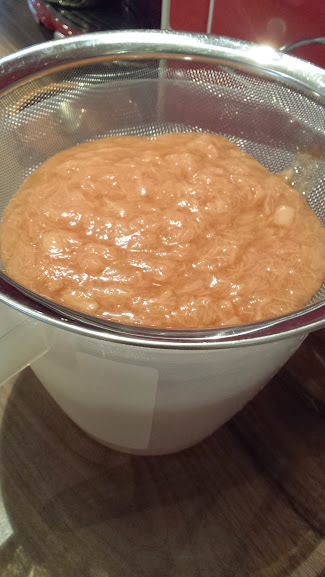 With the rhubarb cooked down nicely I put through a sieve to remove as much liquid as possible as didn't want the base of my pastry case to go soggy. 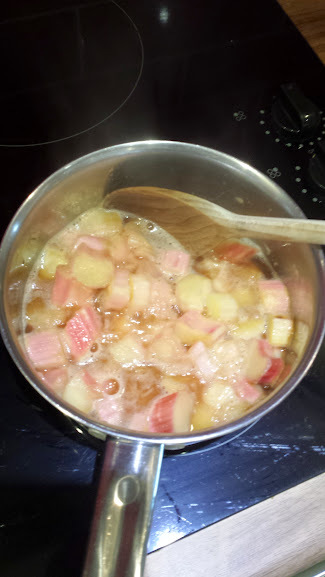 The rhubarb is then added to the pastry case and left to cool whilst the home made custard is created. You leave the custard to cool and then add to the pie, In the last pie I made with the banana I added another layer of cream to the pie and then coated in sprinkles however this time I wanted the flavours of the rhubard and custard to be the main affair. 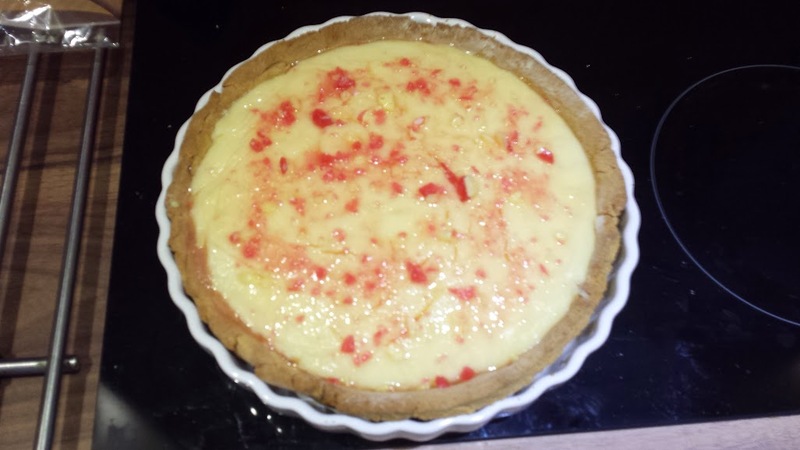 The only addition to the top of this rhubarb and custard pie was rhubarb and custard sprinkles. With a bag of hard boiled rhubarb and custard sweets smashed into crumbs these were scattered over the top of the custard to give a swirly pattern to finish of my pie. The banana and cream pie was amazing but as the pastry was thicker and a little softer and the pie used my favourite ingredient rhubarb this was definitely my preferred version of this pie. As I love experimenting and love baking I'm thinking of adapting this recipe once again and trying a version with raspberry and white chocolate. 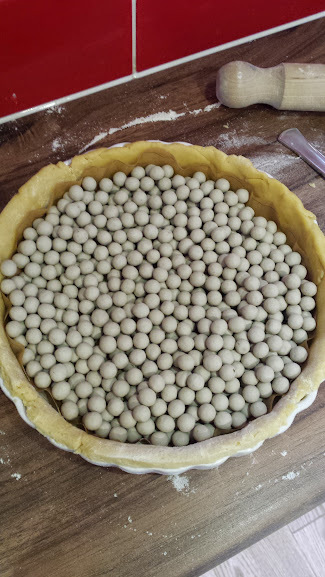 When ever I change a recipe it doesn't always work and often not even edible but now I have perfected the pastry and the custard I'm hoping to keep expanding on baking delicious pies for desert.